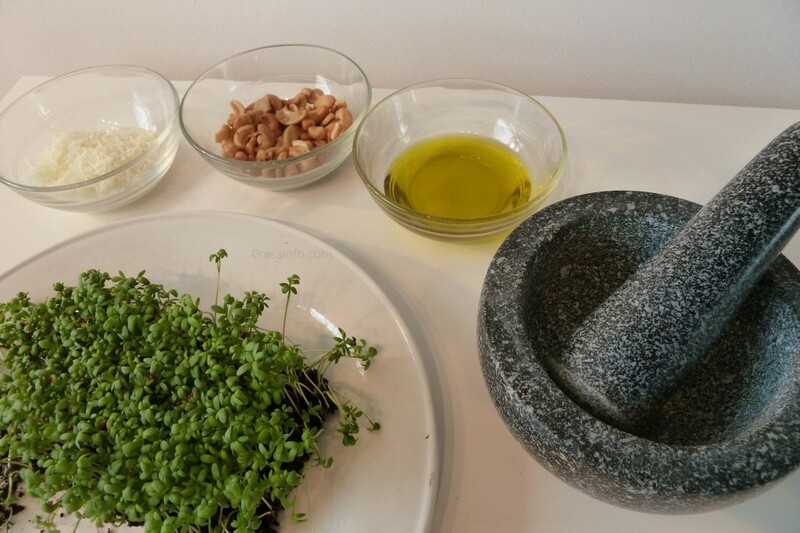 Instead of basil you can also make pesto from cress! 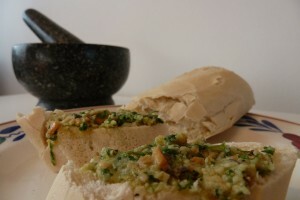 In this recipe a mortar is used. You could also use a hand blender. When using a piece of Parmesan cheese, make sure you rasp it beforehand. When using pine nuts, rooster them golden brown in skillet, before adding them to the rest of the ingredients. 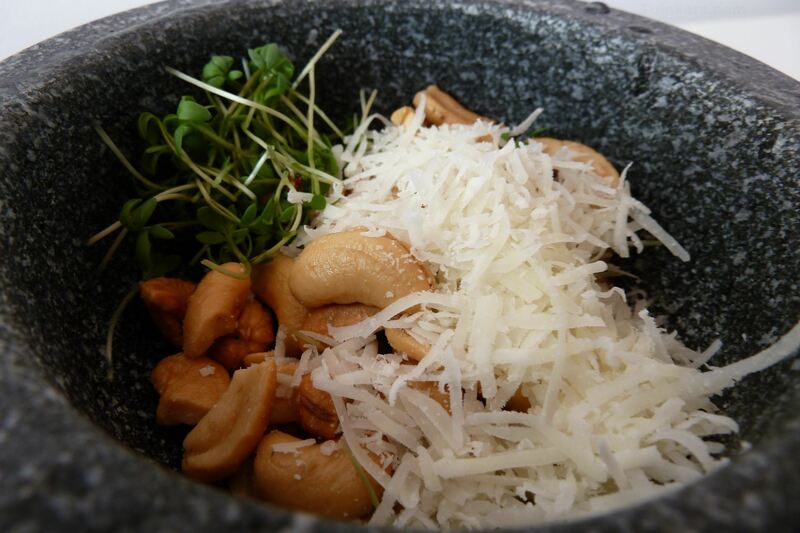 Add the cress, pine nuts or cashews and Parmesan together in the mortar together with some oil. Keep adding olive oil until you get a smooth paste. Taste the pesto and season it with a little pepper or salt. Cress is delicious with pasta, but also delicious as an appetizer on bread or toast. 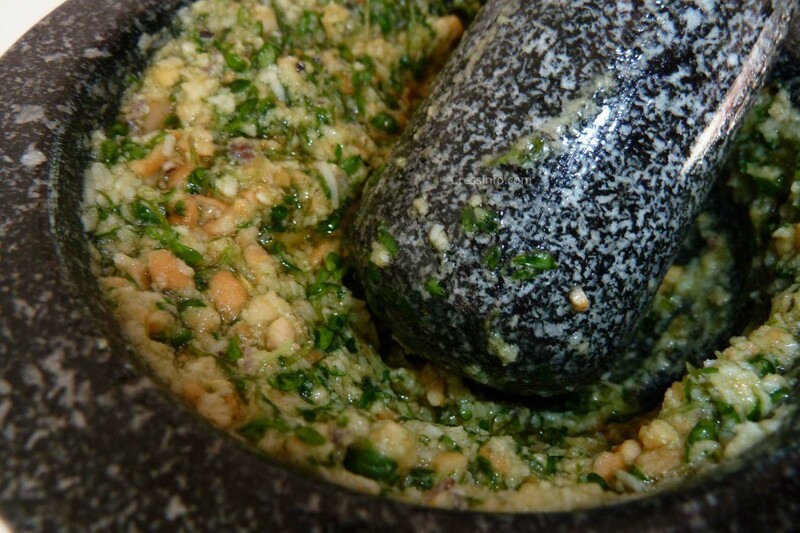 Grin the ingredients in a mortar to a pesto like substance. 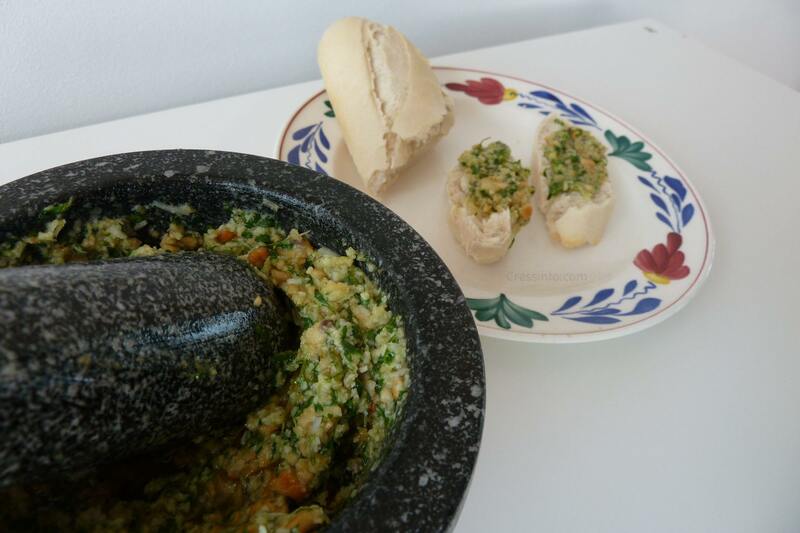 And enjoy the cress pesto!